of our Graduates offering Spiritual Mentoring. Claritas is the radiant light of understanding that comes when our veil of separateness dissolves and we intimately embody the unfoldment of the Good that is Spiritual Guidance. The Interspiritual Mentor Training Program (IMTP) and its parent, the Claritas Institute for Interspiritual Inquiry, are dedicated to regaining this vital sense of wholeness and its spontaneous expression. Why Now and Why This Program? We agree with many world leaders, including Vaclav Havel that the most fundamental contributor to distress and disturbance in today's world arises from spiritual disconnection. This loss of deep relationality affects the way in which we approach work, how our children are educated, how our patients are treated, and in general, the way in which we regard and behave toward one another and the natural world. The exclusively external focus of science in our secular civilization has rendered us intellectually acute but painfully subject to spiritual indirection. We now inhabit a world that has been analytically fragmented into ever smaller parts about which specialists are learning more and more. But our sense of meaningful belonging to the whole has been nearly eclipsed. The Claritas Institute is dedicated to carrying on the work of the late monk and spiritual teacher, Brother Wayne Teasdale. Wayne was recognized by people of every religion as a wise and pure being. He was committed to finding the spirituality both within and beyond religion. Our intention for the Interspiritual Mentor Training Program is to delve deeply into the perennial interspiritual philosophy of guidance and discernment so that we may become more fully present and capable of clear, compassionate action in the world. Our intention is to help realize Wayne's dream of birthing a civilization with a heart. We are no longer accepting students for the Interspiritual Mentor Training. 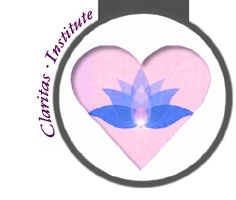 If you would like to be put on a list of those wishing to be informed of future programs offered by the Claritas Institute for Interspiritual Inquiry, please let us know.